As the dust settles after the 2nd annual World Internet Conference in Wuzhen, China, media commentary outside of China has largely focused on President Xi Jinping’s opening statements about “cybersovereignty,” with scholars focusing on the suppressive censorship tactics that this policy is oft seen to represent in China’s domestic cyberspace. Yet while control measures such as the Great Firewall (Beijing’s central censorship apparatus) remain a great source of concern for cyber scholars, the overwhelming focus on the domestic aspects of Chinese cyber policy dangerously ignore the broader, international implications inherent in China’s move towards cybersovereignty, which I argue, we should see as nothing less than an innovative and bold push to re-shape the global contours of cyberspace in China’s favour. We might do well to subvert our scholarly bias of China as playing second fiddle to other global power players (most prominently the United States) especially in areas of innovation, cyber policies, and digital communications, and explore the possibility of a China that, emboldened by perceived American hypocrisy post-Snowden, is playing a strategic “long game” with highly forward-thinking digital policies. This presents to us a much more complex and challenging picture of a China intent on “leading the pack” in a post-utopian cyber age, with thinking that may be as innovative as it is dangerous. Finally, Beijing is increasingly making digital information technologies key components of its vision for the future, and is actively pursuing innovation in this area in order to ensure continued economic supremacy. 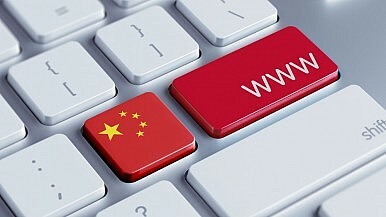 While its future success in this arena must be questioned – how can China successfully enforce a tightly controlled domestic cyberspace while also capitalizing on economic opportunity – there is no doubt that there is unparalleled economic opportunity for domestic and foreign technology firms willing to “obey the Chinese law,” and Google in particular has faced recent rumours that it may be positioning themselves to re-enter the Chinese market. Yet China is increasingly moving to in-house technology, and the global success of Chinese technology giants like Tencent, Alibaba, and Baidu, should cause us to question the tired view that China is merely copycatting Western technology. Rather, China is increasingly at the forefront of cutting-edge technologies and cyber innovations, and its sheer size and economic clout allows it to experiment in a plethora of innovative ways that often remain unexamined. Beijing is actively mapping the cyber terrain through its forward-thinking and early adoption of Internet Protocol version 6 (IPv6), it is pioneering information economy pilot zones (zones of innovation situated around the country that specialize in the realm of big data amongst others), and is increasingly moving to avoid reliance on foreign Internet infrastructure (and presumably surveillance), as demonstrated by the recent announcement of a new encrypted smartphone for Beijing’s police force, created in collaboration with Alibaba. China’s drive for cybersovereignty should be seen as a calculated power play by Beijing to seize on the moment of transition that the global Internet is in at present, a time when growing geographical and political cleavages in the global cyber terrain are becoming increasingly apparent. The inclusion of the term “multilateral” (in reference to Internet governance) in an outcome document approved recently at the UN General Assembly, reflects China’s growing power on the global cyber stage and its sway over future approaches to how to govern and shape the global Internet. Cannily recognizing that such structural trends are already in existence, China is doing openly what many nations are, and have been doing quietly for years, as made uncomfortably clear by the Snowden revelations. And as expressed to me by a number of scholars in China recently, although Beijing’s tactics in shaping the global cyber contours are met with either dismissal or disdain in much scholarship, in fact, the forward-thinking nature of the Chinese model is increasingly regarded as “very superb” and “many countries admire it.” As uncomfortable as such statements may make us feel, they should force us to examine Beijing’s approach from another perspective, in recognition of China’s productive and proactive efforts – and not just its defensive techniques – to shape its and our cyber commons. Stephenie Andal is undertaking a PhD in the Department of Government & International Relations at the University of Sydney.